Hey, friends! 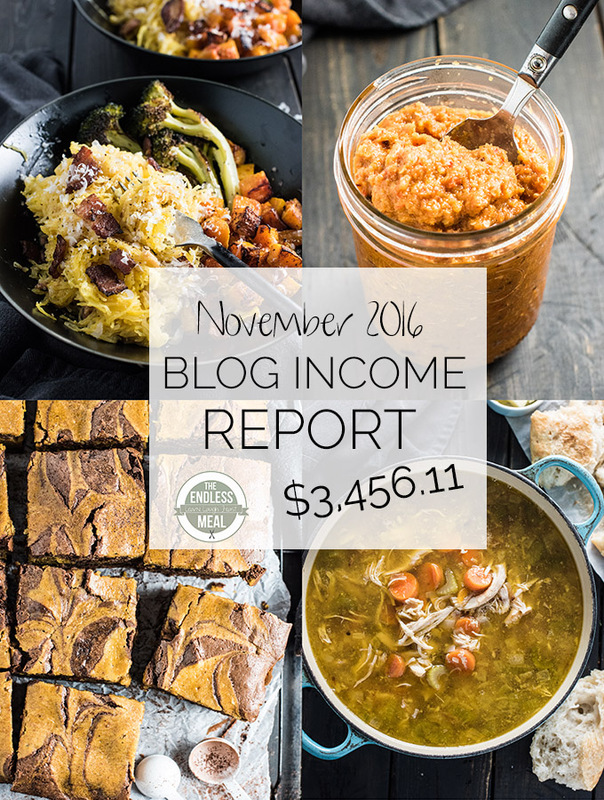 I'm back with the November edition of this Food Blog Income Report. This will be the last report for 2016 since the December edition won't be out until the new year. Doesn't it feel crazy that it's almost 2017?!! 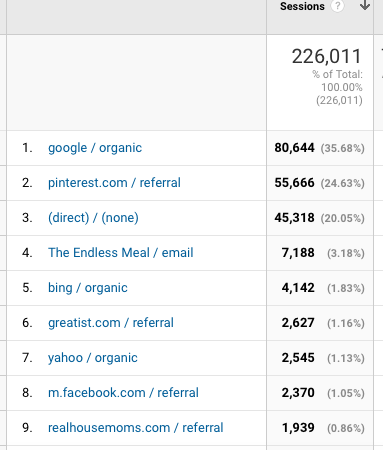 In the food blogging biz, the last three months of the year (Q4) is considered the busiest and most profitable season. Between party planning, Thanksgiving and Christmas dinner organizing, and holiday baking, visits to food blogs take a big jump in October, November and December. Because of this, companies tend to spend more on advertising this time of year, both in terms of ads and sponsored posts. Despite how busy this time of year is, it's a reflective time for me. I like to look back on the year to see what has worked and what hasn't. It helps me to figure out what will change and what will stay the same in the new year. After the numbers, I'm going to share with you some tips I have for planning your content for the upcoming year. Instapage – $29 – The landing page for Oh My Blog. 1. Get an editorial calendar. I use the WordPress plugin called Editorial Calendar. It's free (who doesn't love that? ), and it lets me see all the posts I've scheduled in a calendar format. I started using it a year and a half ago, and it has changed the way I blog. I start by creating drafts in the calendar with only the title of the post. Sometimes it's a rough draft (ice cream recipe) and other times it's a fully flushed out idea (mint julep ice cream with bourbon drizzle). Once I've input all the recipe titles, I can go back and drag and drop the post dates within the calendar if I want to change things around. I'm a visual person and seeing everything I have due laid out neatly in front of me helps me stay on track. 2. Make a list of the types of recipes or ingredients you'd like to see on your blog. Last year, there was only one crock pot recipe on The Endless Meal, and I wanted more. I knew that mass posting crock pot recipes would burn out my followers, so I committed to one recipe per month. Once the December crock pot recipe is posted (on the 20th), there will be twelve. Looking at what types of recipes you would like to collect or which ingredients you would like to use, lets you carefully craft the recipes you have on your blog. 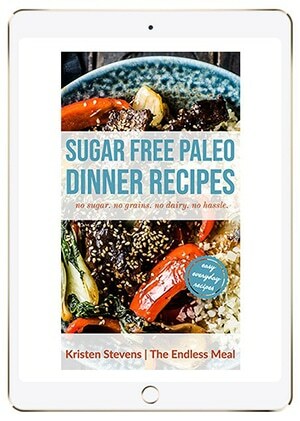 By committing to a posting schedule (once a month, once every three months) you can begin to build your recipe collection naturally without risk of wearing out your readers. 3. Set aside a day or two to brainstorm before each quarter. * I sit down and calculate exactly how many recipes I need. 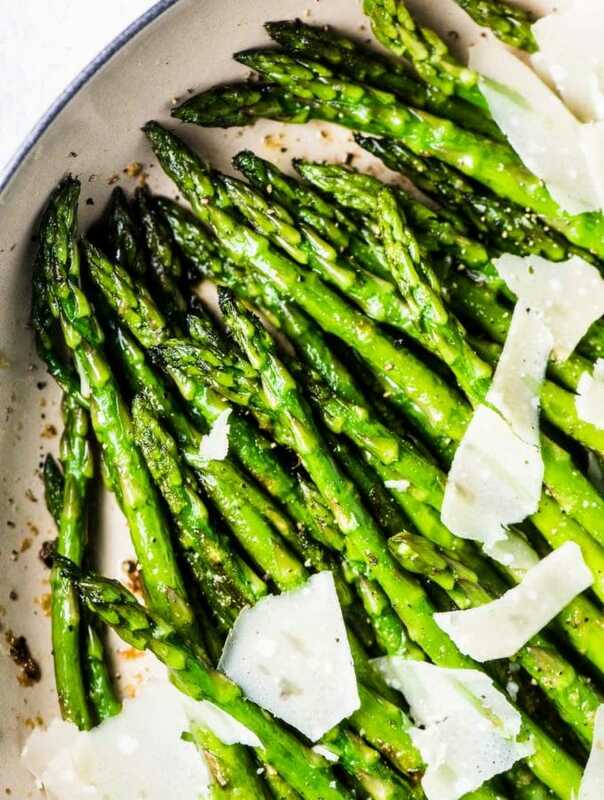 I post three recipes per week with the exception of the last week of the month when I post two recipes. (The last week includes a roundup post which is why there are only two recipes.) Once you know your posting schedule, look at the calendar and count exactly how many recipes you will need. * I find it works best to decide how many recipes I want in each category. For example, I may have six healthy dinner recipes, two dessert recipes, two breakfast recipes, three crock pot recipes, 1 Super Bowl recipe, two beet recipes, etc. I always leave 3-4 ‘wildcards' where I can add a recipe along the way. 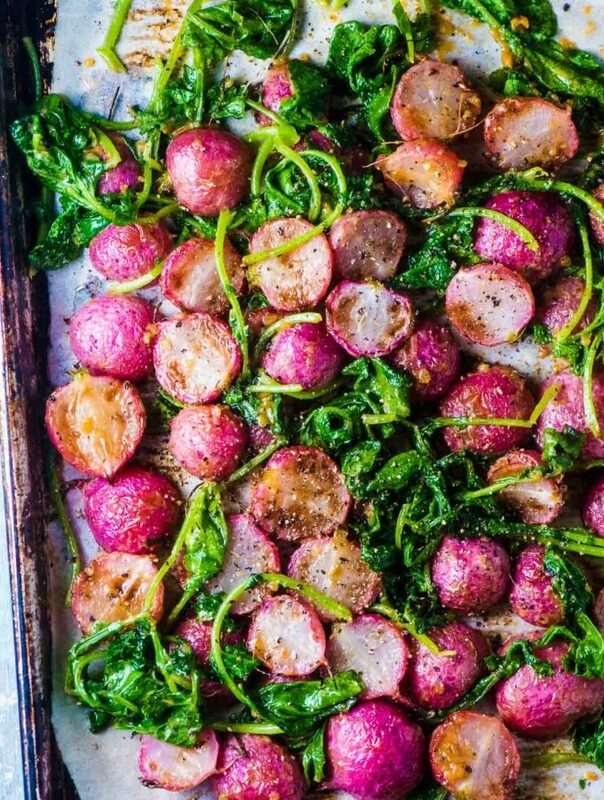 Us food bloggers find inspiration everywhere and sometimes just HAVE to share a recipe stat. * This is the fun part … choosing the recipes! Once I have my list of what kinds of recipes I need, I start plugging in all my ideas. I'm secretly 80 years old and like to use an old fashioned pen and paper for this job. If you've embraced tech more than I have, you could do this in an online notebook, like Evernote. Don't beat yourself up if a recipe you wrote down isn't singing to you a month or two later. Having a list will keep you on track, but making changes on the fly is not going to harm your blog. Sometimes postponing a recipe a few months might make more sense. You'll see a recipe for some Not Fried Korean Fried Chicken coming up in the new year. The original post date was in November, but I felt it would be best to reschedule it for a time of year that is all about healthy eating. Thank you for being a part of this month's food blog income report. As always, if you have any questions reach out in the comments section below! So so helpful! Thanks Kristen! You totally deserve that happy dance! I love your income reports. I’m trying to get better about planning out my recipes. I flip flop from pen and paper to notes on my phone to various plans on my computer. Oh and the editorial calendar too! I’m trying to come up with an effective plan (and planning method) for next year to help keep me sane and to be more logical and deliberate about it all. You’ve given me some good idea here. I like the idea of first defining a broader category e.g. Crockpot or desserts. I never seem to really do that. Thanks! Honestly, planning out my schedule well in advance is the one thing that has saved me so many times. It really helps keep me on track and prevent me from scrambling. I totally recommend it! !